Some people have a full blown engagement party, and others choose an intimate do to celebrate with their nearest and dearest. Either way, take some time to enjoy your newly minted fiancé! The wedding planning will start soon and you need to savour the moment. Using a website like gocompare.com, you can protect your jewellery from theft, damage and loss. Many providers don’t include cover for personal possessions away from home or accidental damage to jewellery as standard – you may have to purchase this as an optional extra. Having an initial consultation with a planner is vital, especially if you don’t know where to start regarding budgets and sourcing suppliers. 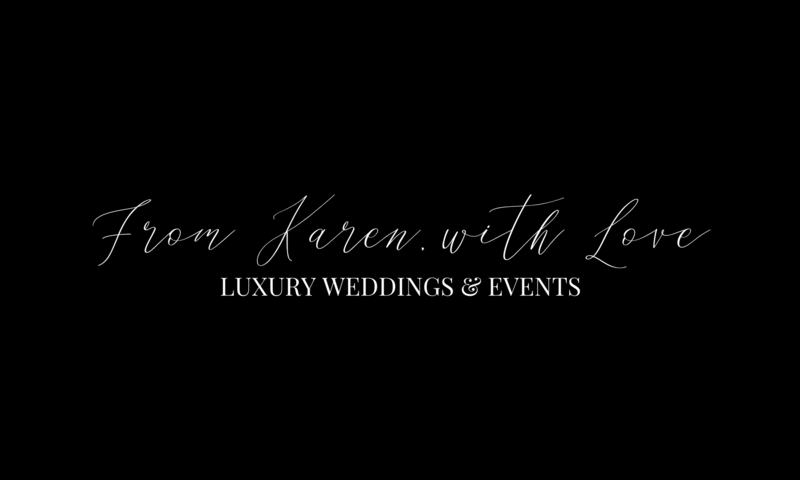 From Karen, with Love Events provides hourly consultations at £30 per session, allowing couples to create a planning timeline, or budget plan before they begin their wedding planning journey. Before you make any large wedding decisions, you need to be in agreement with your fiancé and family members about how much you are willing to spend and who will be contributing. You also need to put a value on each aspect to prioritise your budget- this will help you come to a planner with a logistical starting point. Once you have a budget, you need to pencil in who you are going to invite to your wedding. Never let the guest list control your budget, it should always be the other way round. If deciding who is coming threatens to break up your family, or bankrupt you, scale back. If you are on the fence about who to invite- consider whether you would invite them to your house for dinner. If you wouldn’t, don’t invite them. Seriously think about the type of wedding you want; the mood, the formality, the time of day, and your combined tastes. Try to envision choices you have never considered- if you are unflinching on a formal event, consider a seaside ceremony, and see if you change your mind or it reinforces your choices. Once you’ve announced, do expect that people will be asking you “Have you set a date yet?” Discuss a time of year that you would love to get married, or if you are concerned about the budget, consider off-peak wedding seasons for booking photographers, caterers, and other wedding professionals. Also consider the fact that wedding professiionals book up often a year in advance. Where you get married can dictate a lot of things about your wedding- from the date to the dress code. I follow the same advice for venue hunting that I do for wedding dress shopping: “try on different options”. If you are sure you would never want to get married at a manor house- visit one within your budget. You may end up liking a style that is unlike anything you’ve envisioned. The pinterest effect is a serious thing, and you may think you like something because everyone else likes it. Contact our Wedding Planner at From Karen, with Love Events today for your Norfolk & Suffolk Weddings. Now taking 2018/19 bookings, for luxury and memorable weddings and events in historic East Anglia.